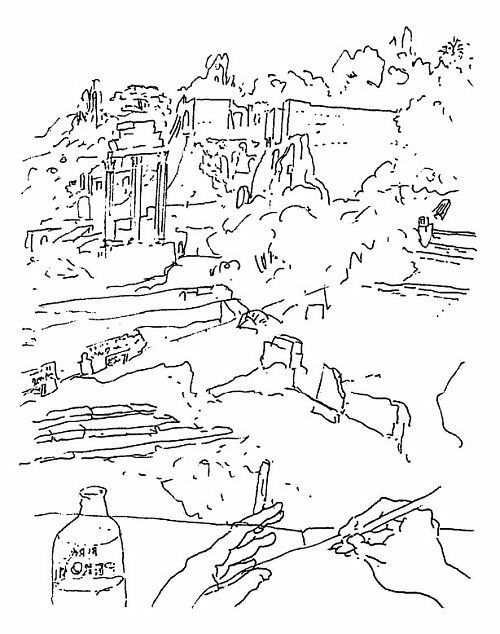 Drawing of Rome by Álvaro Siza, 1980. The city constitutes an inexhaustible source of information on us. His arrested observation reveals landscapes in continuous transformation, landscapes in movement: transitory landscapes. The drawing as cognitive instrument of the urban decanting, acts from one of the most former tools that are known: the perspective, the point of view from which the matter, a point is considered or analyzes anyone and – for so much – subjectively, we would say even deceitfully or fallaciously. Constructed from the subjectivity, a landscape will be a place with perspective. The drawing of the city has been always the offer itself of the city, the scene of a certain model of behavior, the individual explanation (or collective) of a culture. From Piero della Francesca‘s symmetrical Ideal City to the Rome museográfica and estereométrica by Piranesi; from Leonidov‘s air visions for Magnitogorsk or Le Corbusier for Algiers and Rio de Janeiro, to the Florence flooded with Superstudio or Archigram‘s Walking Cities. In all of them the Man will be different, since it it is now from the point of view of the satellites and his cartographies geo – located; since it it is now for the tourists lost before maps saturated of colors and shops (for tourists). Models of behavior. Álvaro Siza incorporates often elements only interpretable from his agitation and movement, from his deeply human and temporary condition. Close to the complaisent transparency of the bottle, the hands – protagonists here – rush on the notebook from the pencil and the cigar, that one that is consumed in a fleeting way is projected on the solidity of the ruins that they remain, or at least they disappear slowly under the vibration of the light and of the trees. Teen hands, long-lived landscapes. As if to see a city clear was necessary to identify his latent implosion, his wrinkles and scars close to the honeysuckle, his temporary scaffolding of inclusive and inextinguishable caps: the thickness of the drawn city. Manos adolescentes, paisajes longevos. 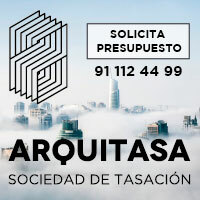 Como si para ver claro una ciudad fuese necesario identificar su implosión latente, sus arrugas y cicatrices junto a la madreselva, su andamiaje temporal de capas inclusivas e inextinguibles: la espesura de la ciudad dibujada.